Pre School Prep with toddlers. Play and Learn. Big D has been loving all the planned time I have been spending with him. He isn’t much of a talker, not in our language #toddlerlife, but he is expressing his happiness with lots of hugs and running screaming loudness. Loud is good in our home.We play, work through some of the lessons I have planned and then play some more. A little over 1 month in and we have accomplished a lot. He can identify letters, numbers, shapes and colors we have covered. And he is sleeping good at night. I would say that is the test for a challenging yet fun day in Toddler World – if it was enough they sleep. Or in our case Big D does and for 12 hours straight. Crazy. When I first created the Tot School lesson planner I thought it would be a rough draft and then I would make a few tweaks along the way. So far I wouldn’t change a thing. The boxes give me tons of room to doodle what we are working on, giving me a quick glance, visual effect, of what we have planned. And if I need to write something out in more detail there is plenty of space to do that. I think one of the best parts of the planner is the Accomplishments space. We sometimes don’t have much time to hit all our points in the day or someone gets sick and plans have to change. But there is ALWAYS something to be proud of and consider it an accomplishment. Right next to that is a space to write out what I might change in our approach next week. Sometimes I just write in MORE PATIENCE. It’s a nice reminder that nothing is perfect and something can always be improved upon. Plus, there is always tomorrow. Right? Sometimes we can get so stuck in planning out the day, the lesson and our time, that we forget to ask them what they would like to do. He might be little, he might not say much but he has an opinion. They all do. So, some days he gets to lead. Alright, let’s be honest, most days he leads. But in letting him lead, literally following his lead, I discovered more about him than any of my planning could have let me. We played with trucks, on the couch, pretending to jump over things. We read his favorite book about 5 times and clapped at the end, then he “read” it to me and we clapped at the end. We sorted laundry his way, then cheerios his way and blocks his way. I created this “Let Them Lead” printable to remind me that once in a while I need to let go and let them lead me. In doing so I learned that Big D, can do imaginary play, he sorts things, and is comprehending what we read. So click the image to the left and print out your own reminder to – LET THEM LEAD. 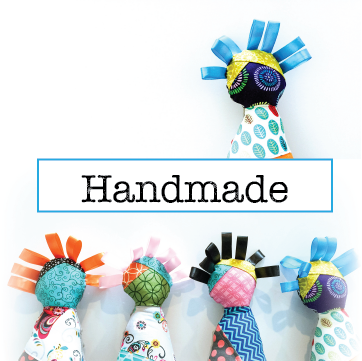 If you are interested in seeing what other Free Printables are available go HERE. It’s such a wonderful thing to watch as a child learns. More than that is witnessing the spark happen. The moment your child gets what you have been saying for days or months and then suddenly they are off and running with it. That happened this week with the color Green. I love this color, I don’t wear it or really have anything that is green as decoration in my home but man do I love green. It makes me feel good, so good that I didn’t stop talking about it to Big D. And even Little K was in on the Green love fest trying to mimic me saying green. It was great. So great that Big D caught on to this superb color quickly. Pointing out anything that was green with his green car. I went searching for activities that I could duplicate with him and here is a wonderful list that covered color themes. Hope you enjoy them as much as I did. They are all budget friendly and didn’t take much prep time. 1+1+1=1 has a great tot School section and amazing printables. This post was all about rainbows and showed 4 ways to teach color. One in particular I already had the supplies. It got a little messy working with actual glue, but we weathered the stickiness and made a rainbow with extra green. Hands On As We Grow had an amazing selection of color posts, just type in COLORS into the search option. From there I picked a Sensory bag. I filled it with the two colors we had learned up to that point – red and green. The sorting into the colors circle he didn’t get so much, but he had a ton of fun squishing and moving the buttons. As he moved the buttons around we talked about what color it was and I would show him other things in the room had that were that color too. On You Brew My Tea she gave 7 examples of ways to teach colors. We chose the color hunt and went around the house looking for the color green. It was fun, most of the time he understood the concept and the other part he started grabbing everything to put in the basket, mostly clothes. It was good though, it gave me an opportunity to explain different colors and that we were only looking for green. He had fun leading me through the house. 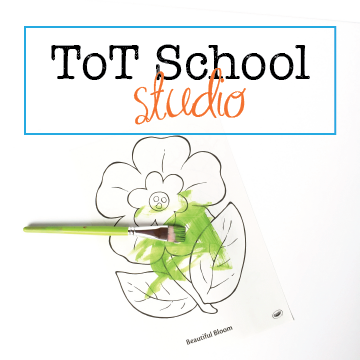 Interested in planning out a ToT School Studio of your own? 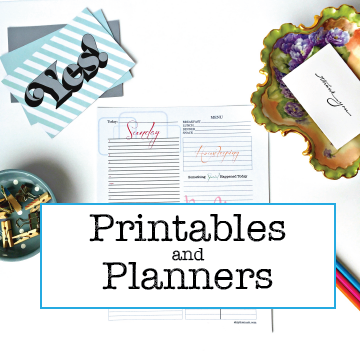 Start with getting a simple Weekly Box Planner HERE and decide which – shape, color, number and letter you want to focus on that week and go to these sites to get a ton of ideas. Remember it’s about the fun, simple easy everyday items can be teaching tools. Painting is always a hit in our home. Big D loves it. From mixing the colors to painting on paper, pumpkins, himself – it’s all great. But every now and then painting with a paint brush or his fingers seems to not interest him. On those days I take a quick look around to see how we can make it different. This week it was painting with a Cotton Tip Applicator aka Q-tip and placing the paint (mixed with a little water) inside those things that use to make ice. When he was done asking “wahs daht?” and pretending to clean his ears, he got down to business. And sometimes painting on a new surface can bring back the fun. One of Big D’s favorites is foil. The shine of it mixed with the paint is what I think makes it fun. Made it to week two after learning a lot about expectations and stressing out. So week 1 lesson planning for Big D will be slightly different. But only in the way of being a little more easy on myself. We didn’t get much done last week with numbers so this week I will try to work them in a little bit more. WITHOUT STRESSING. We have wooden blocks all in green for their shape and color, mega blocks – just so happens the green ones are also square. For the Letter G I plan to make coloring pages of animals that start with G, and Number 2 will be a lot more fun than one (if I remember to teach it) and I will create painting and coloring pages for that as well. I am also planning to do a lot more reading this week. We were so focused on getting certain things done last week, then Big D didn’t feel so well for two days so we missed a couple planned lessons, and didn’t get much reading done. The Reading List for ToT School? Anything and everything. If they want it read it will get read even if it falls outside of the lesson plan. In addition to ToT School we also have a very active, almost, one year old who has started to mimic everything and is now signing back to us. Big D never learned to sign as a baby so now as a toddler he is gaining that skill too. It really is so much fun to see them learn something new everyday. Months before I started our ToT School I searched pinterest and googled, aimlessly looking for tot school curriculum packets and kits. I searched for books and how-to guides. I got really confused, then got clear again and minutes later back to confused. What did I need to really help Big D learn? Did I need to search outside my home or did we have everything right here already paid for and with us? There are a ton of options out there and really great ones too, but I couldn’t find what I was after. In a lot of ways I had no idea what I was looking for. I thought homeschooling had to be very structured and I thought I would need to do the same with ToT School. At this moment I am glad I was wrong. The beauty of homeschooling is the freedom. There really is no right way, only the way that works for you and your child. And that doesn’t ring more true than for ToT School. The freedom to change course with any hiccup or actual tummy ache. And with a little forethought and initiative you can build your ToT School curriculum and activities from the items in your home. I don’t have a budget for ToT School. More accurately, I don’t have extra spending money to acquire the kits and packets that are available. Plus I didn’t want to use resources from other piggy banks on something my son might not enjoy. So instead of waiting for the money to magically appear, I decided to make do and plan. Week 1 actually started just after new years with planning our course, the four things we would concentrate on this week. And on Sunday night, just after the kids went to bed, I started sorting and gathering toys, books, building blocks, mega blocks, puzzles and flash cards. I pulled out all the things that matched the color we were focusing on. Then all the things that were the shape of the week joined the color bin. The Letter and Number would be more verbal, and coloring or painting activities. Next thing I knew, I had a toy bin full of one color and the right shape. I placed all other toys in different rooms. That created a whole other side effect that was wonderful. Keep in mind ToT School is FUN. F . U . N. fun. So a lot of what you do is united through playing. I knew I could engage him with wooden building blocks and mega blocks for a bit by making big one color towers, or teach him about circles as we rolled all his cars across the floor, off the table and around the dog. Jake got the best car massage any dog could ask for that day. At one point I ran out of printer paper, from printing out new planners I am designing, which meant I needed to draw up some coloring pages for Big D with the letter of the week and animal to match. He loved it. He climbed onto my lap to watch and asked a lot of “wahs daht?” We talked about what I was drawing, well I talked and then as he colored I talked about what he was doing. It was definitely bonding for the two of us. The one idea about homeschool that I personally had to give a little on was keeping a strict schedule. Now I know some people cannot function without a schedule and I use to be the same, some days I miss it, until I had a baby when my first was only 13 months old. Little K turned our world upside down with her sleeping and nursing non-schedule and it is still being flipped. So while the Type A person inside screams a little the rest of me has learned to relax, which has been good. This week we probably got to 9 of the 15 activities I had planned. Today will probably be spent reading and painting, followed by a bath. So you could say we accomplished 11 of 15. Not bad for week one, a toddler who was not feeling top speed and a baby who is teething giving me only 4 hours of sleep a night. My point here is take it easy on yourself, on the ToT and do what you can. If you don’t have a printer, to print out all the freebies you see on other blogs, draw them. If all you have is a box of noodles – pinterest will give you tons of ideas that a toddler would love. Use what you have, your toddler will be excited because you are there learning with him. You don’t have to purchase kits or spend a lot of money for tot school. I used toys and lots of talking and repetition. Only one color existed in the living room for a week. We talked about how all his cars and trucks have circles = the wheels. And we colored T’s and Trees and Turtles when things got slow. In between all that, he helped put away dishes and feed the dog. On Friday we reintroduced all the red toys to the rest of the toys in other rooms. This was the test to see if what we did worked. And it did. He gave his little sister all the red balls when asked and brought me the red cars when asked. By Thursday he could find all the T’s on the chalkboard. And pointed them out in the book I read him this morning. He learned red. T. and is starting to recognize circle. It wasn’t until this morning that I realized we didn’t cover the number 1 very well. I am going to blame that on no sleep. But we have a whole new week coming up to work on it. Moral of this very long story – Be nice to yourself, use what you have and play with your toddler. Tomorrow is a new day. We are working our way through week 1 of ToT School and so far it is going well. I wanted to bring up a quick point when starting your Homeschool or Tot School and lesson planning. Don’t Stress Out. Pinterest and Instagram would have you & me believe that we need to be put together. Have everything laid out in uniform plastic bins, color coded and labelled. Social Media and marketers would like us to believe that this picture perfect utopia is obtainable. Somedays it is, most days – well it just isn’t. Yes, even in my pictures I try to present a slightly put together image, you won’t see my sink full of dishes, the kitchen counter covered in tools and granola or the dust on the fireplace mantel. You won’t see the mess but it does exist. What you will see are happy kids, who without prompting join me at the table to color or sort laundry. And you will see my toddler dancing to a song that would make my mother blush but hey it’s the beat he is boggying to. So today when I ran out of printer paper but we still hadn’t tackled a ToT School lesson I improvised. Big D LOVED IT! He saw me drawing one of his favorites – a train – and pushed a chair next to me. I rolled (circle is the shape this week) a red crayon to him, I blow his mind, and he started to color pictures that I drew. That’s it. ToT School can be as hard or as easy as you want to make it. I wish I was as organized as “Perfect Mom” and had, and kept, all my ducks in a row all day, can you imagine the things I would get done. But I am not and that is ok. Big D had other plans and wasn’t feeling good so we took it slow. It’s only day 3 he will still get to college if we miss a day of tot school. Interested in starting a ToT School in your home, start HERE and read other blog entries. When I found out I was pregnant with Big D (2 years ago) I knew instantly that we would choose to homeschool him and any siblings that came along. Now that he is a very busy toddler I wanted to start introducing him to learning, by making it fun. Focused Play is what we are calling it. Realizing toddlers learn best through play, that is our focus. Playing with purpose, playing with learning in the background. I also realize a toddler is an extremely busy person with lots of things to accomplish, like learning to potty train, so some days we may only get to one Tot School item or we may hit them all and want to keep going. The idea is to keep it interesting, fun and flexible. So I have decided to start our Tot School fresh in the New Year. January 4th 2016 will be our first day. And here is how I am hoping it will go. The Basics, I make a lesson plan for the week, picture above, concentrating on one Color, one Number, one Shape and one Letter. Each day I have different activities that incorporate each particular, color, number, shape and letter. For Week 1 I wanted to hone in on Big D’s favorites. Circles = Wheels, Red = his red truck, T = trucks. For numbers I thought it best to go in numerical order, that means starting with the Number 1. Alright let’s get Tot School Started! First Step: Gather all the toys that are red. Red cars and trucks, red mega blocks, red toys, books, pans. If it was red we found it and put it in the bin. My thought it to have all the red toys in the main living room, believing that every time we are in this room there will be opportunity to explore the color red. The bin also held things that started with T and was a circle shape. Interested in the Weekly ToT School Lesson Planner? Check it out HERE in the shop. It’s a 2 Page layout, Box planner. Lots of space for notes, thoughts, shopping lists and most importantly Accomplishments for the week.